Dan Crocker, A.K.A. booze reviews, is the king of beer reviews. Watch Dan’s video below to find out if you should pick up a bottle of Fuggles & Warlock’s latest brew. You know, when you find something good and they add more beers to make a series (Game of Thrones beers, Big Rock Barrel Aged Series, Mortal Kombat Imperial Beer Series, and many others) you want to try them all, at least I do. 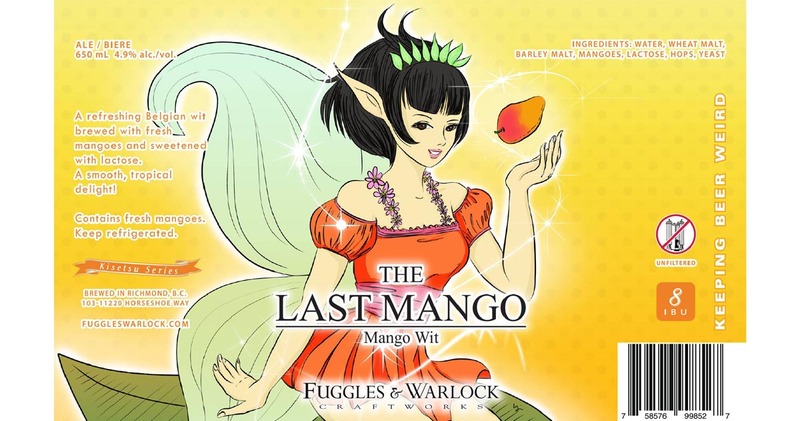 So when I heard that there was a new “The Last” series from Fuggles and Warlock I had to give it a go! Does The Last Mango Wit make the same impression as the Last Strawberry Wit did for Dan Crocker? Watch the Booze Reviews video below to find out! Let’s follow The Beer Maven off to Bowen Island, British Columbia! Continue reading to learn about Bowen Island Brewing’s latest variety beer pack – The Adventure Pack. With autumn arriving, it’s time to get out your favourite sweaters and start sipping on brewery’s seasonal brews. Sondra Baker, A.K.A. The Beer Maven, is bringing us her top 13 beers that pair best with crisp mornings, crunchy leaves, and everything fall! Why Does Drinking Beer Make You Hungry? Why do you always feel hungry after drinking beer? A new scientific study explains why most of us have urges to eat pizza, McDonald’s and Kraft Dinner after late night boozefests.